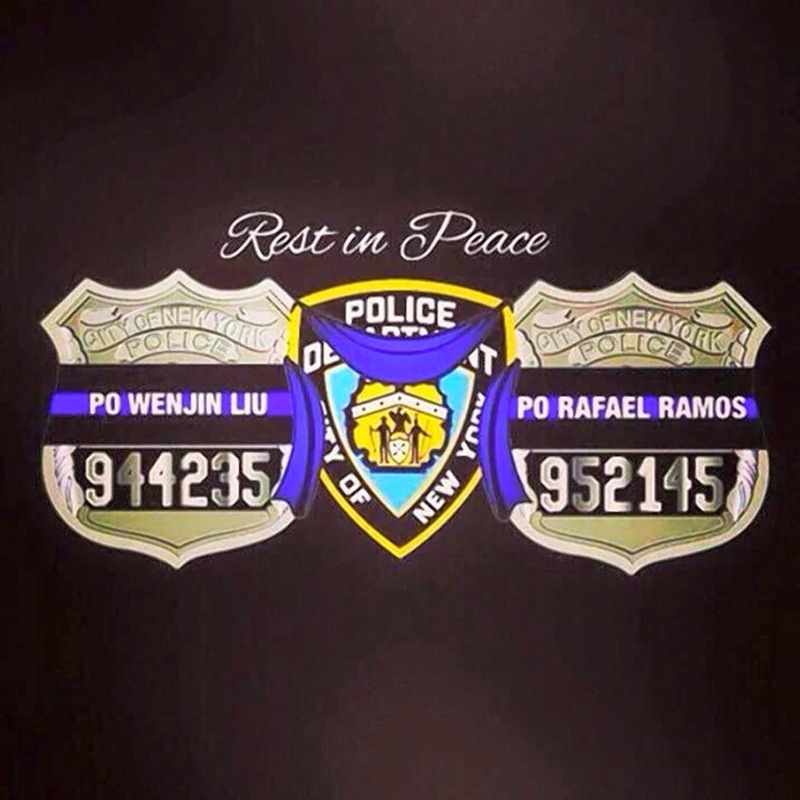 On Saturday, December 20th, New York City Police Department Officers Wenjian Liu and Rafael Ramos were murdered while in their squad car in Brooklyn’s Bedford-Stuyvesant neighborhood. The killer had a long criminal record and hatred for the police & government. After committing the heinous crime, he ran into a nearby subway station and committed suicide. While full motive for the murders is unknown, recent posts the killer made on social media alluded to wanting to seek revenge for the death of Michael Brown and Eric Garner. We cannot deny that the tense racial and anti-cop protests that have gripped the country after the recent grand jury decisions had an impact on this crime. Americans need to open their eyes and see what is happening. These are no longer peaceful protests. Businesses have been destroyed. Innocent lives have been taken. The intent to have a serious discussion about law enforcement has deteriorated over the past few months into endless criticism of the police and the justice system, and race-baiting. Enablers like President Obama, Attorney General Eric Holder, NYC Mayor Bill DeBlasio, and Al Sharpton need to do more than just condemn these murders. They need to step up and call for an end to the negative commentary against the police and the dangerous protests. How many more innocent lives must be taken and families left heartbroken before something is done? Let the tragic deaths of Officers Liu and Ramos not be in vain. Obama, Holder, Sharpton and deBlasio are all racist pieces of trash. They are ant-police/military/America. Their careless words have cost thousands of people their lives around the world and here at home. Liberalism is a mental disorder.